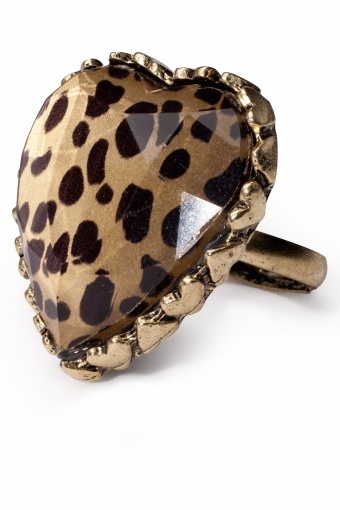 Lovely Leopard ring gold. 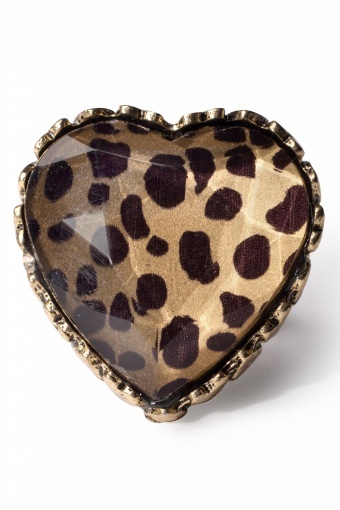 The faceted leopard heart of this very stylish and adjustable ring has a subtle metallic luster. 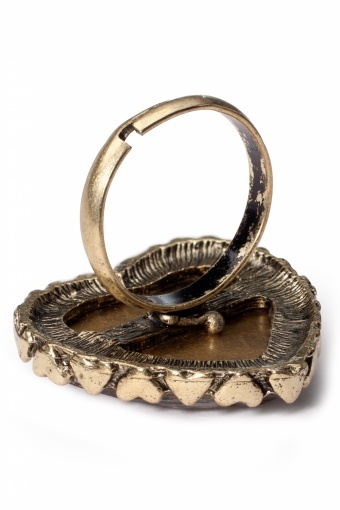 Nicely framed in shiny antique-look gold metal (nickelfree). Go Wild!